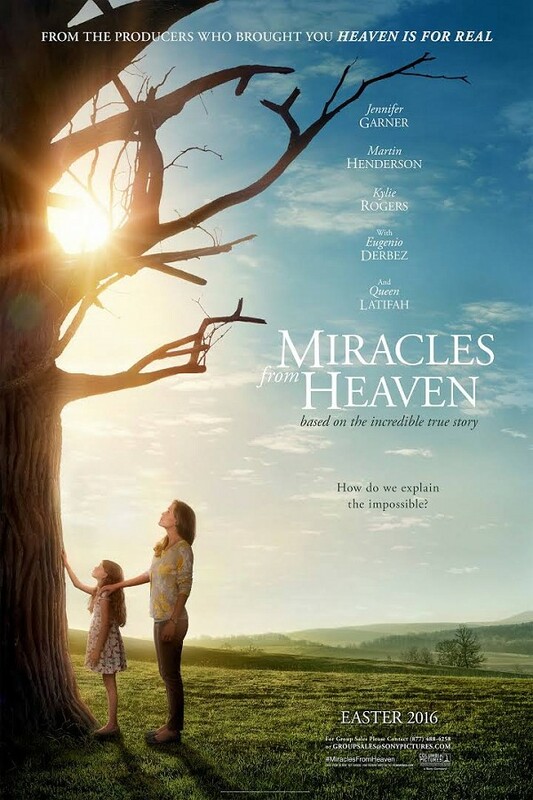 "Miracles From Heaven" is a good movie. I'm not spoiling anything by telling you it is based on a true story. The author of the book is Christy Beam. Her daughter is diagnosed with a severe neurological abdominal condition that will lead to her death. Of course the little girl Anna, played by Kylie Rogers, makes it, but it is how they keep overcoming the many obstacles in their path that makes it interesting. Of course faith and prayer play a major part in the story and her recovery. The actors were Jennifer Garner as the mom and Martin Henderson as the dad, Kevin. The remainder of the cast were competent supporting actors. The main actors did a nice job. Stay for the end and you will see the actual family that was portrayed. It was a good movie, not great. But it was a "feel good" movie.